The past few months I’ve been on the flower show circuit as a photography judge. Walking through the floral design entries I’m continually blown away by their sheer beauty, creativity and inventiveness. Flower shows for me are what five-star restaurants are to others. I’d love to try to replicate what I see at home but I’m confident it’s most likely out of my league. For certain there are many things I should not try and certainly will never master. 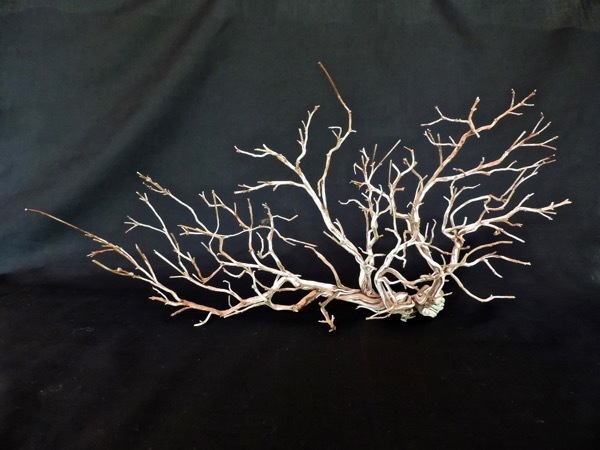 While I can’t perhaps create an “en masse” arrangement with grapevines and roses on a five-foot pedestal, I surely can try incorporating a few branches into my typical go-to centerpiece. Morning Sun Florist, just south of Dayton, is an enchanting shop filled with the most exquisite floral and interior design pieces. I can (and often do) walk around their interior and courtyard seeking treasures. It’s one of those places where you go in for a gift and leave with two for yourself. On a recent trip I spied the most fascinating pieces of bleached driftwood. When I walked out with a shower present those ethereal little twigs came along. 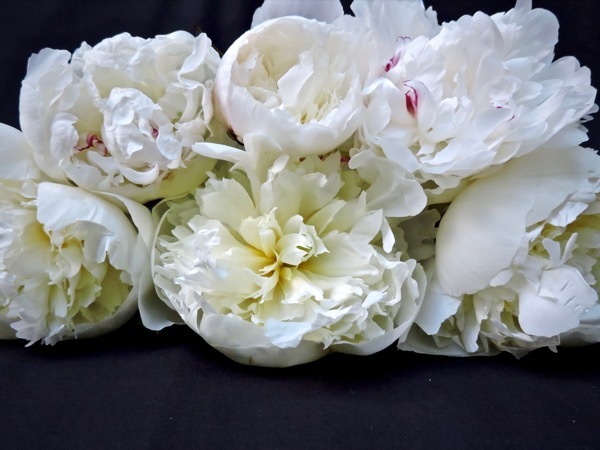 While I am not a floral designer, I have many close friends who are. I try to be subtle asking them (somewhat relentlessly) Why do you do this? How do you do that? Do you think that is something I could actually do? If I actually did that, exactly how would I do it? I’m not very subtle and I’m definitely persistent, but sometimes, just sometimes, I leave with a jewel. 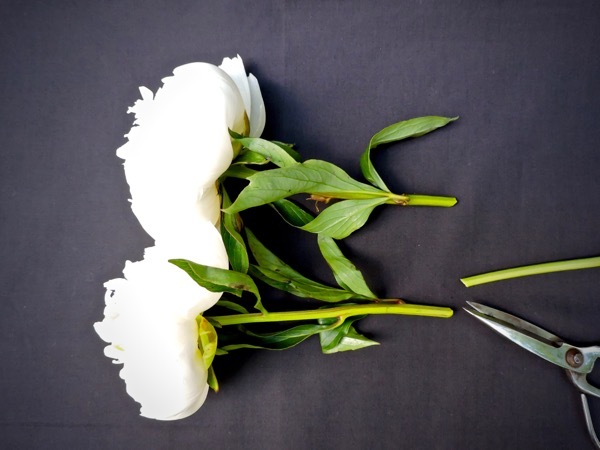 One such “jewel rule” in floral design is to always use odd numbers. 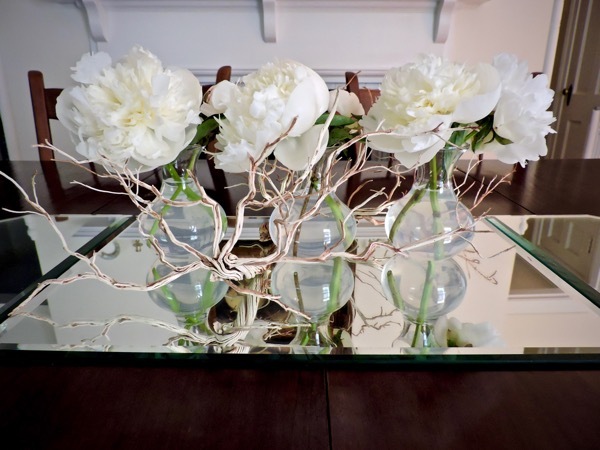 One of my go-to centerpieces is to place three vases down the mirror runner on my dining room table. I picked these vases up on a recent trip to Target. 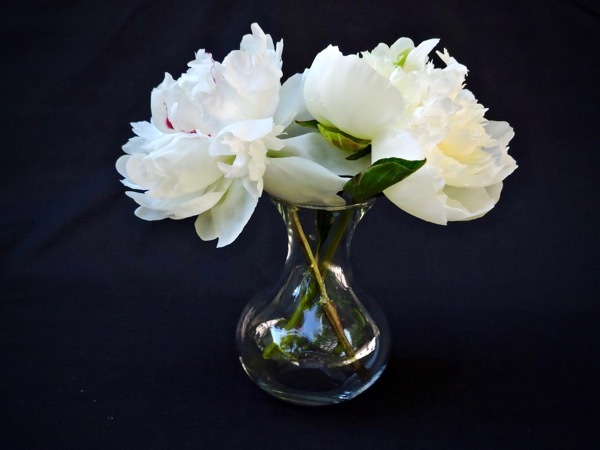 Two peony blossoms fill my bud vases perfectly. 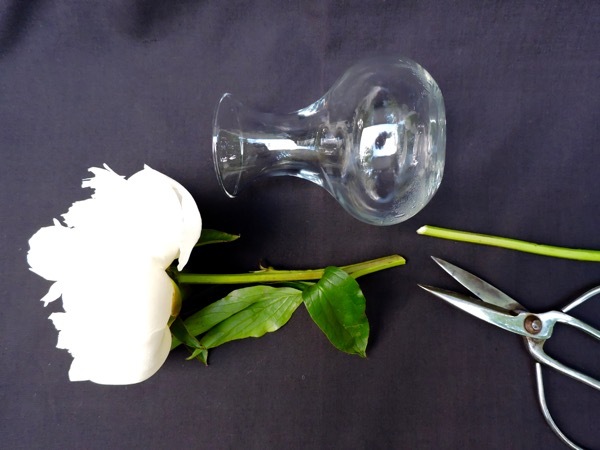 Be sure to cut the stem on an angle so that the bloom comes just over the edge of the vase. 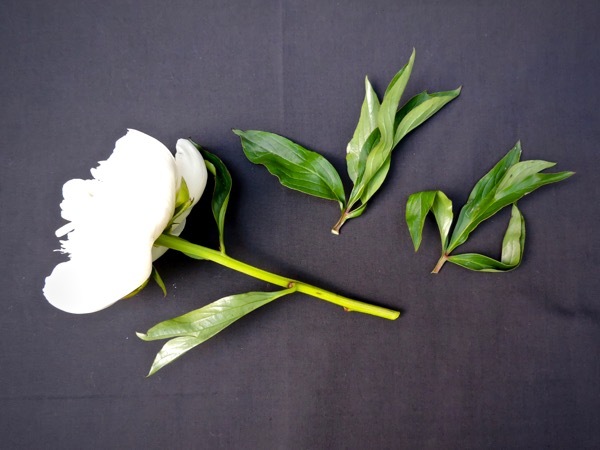 Use your first cut stem as a ruler for the rest. Then remove any leaves that will be below the water line. This will help keep the water clean. 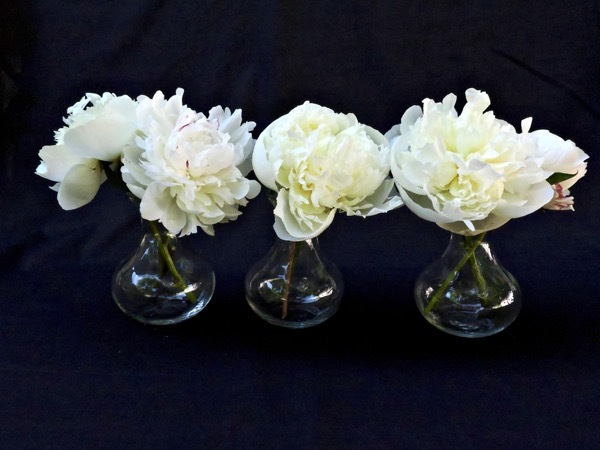 Place two blooms in each bud vase. 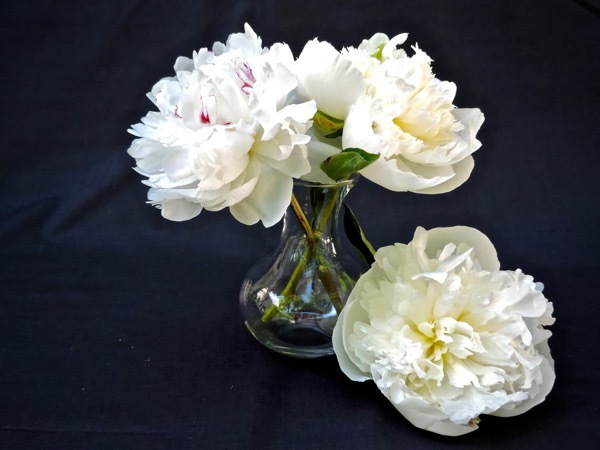 Be sure to use floral preservative in your water. 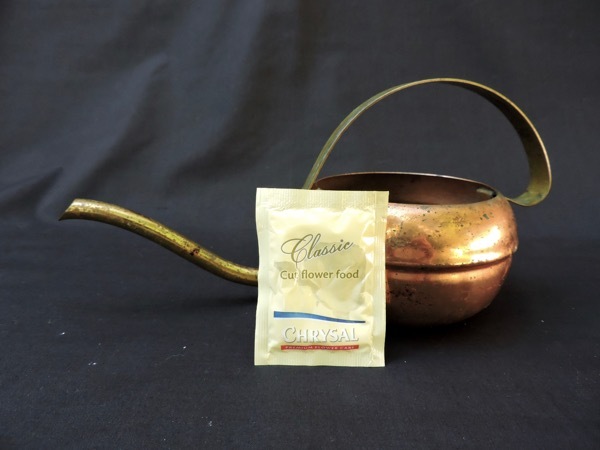 It will extend the life of your arrangement and help keep your water clear and bacteria-free. 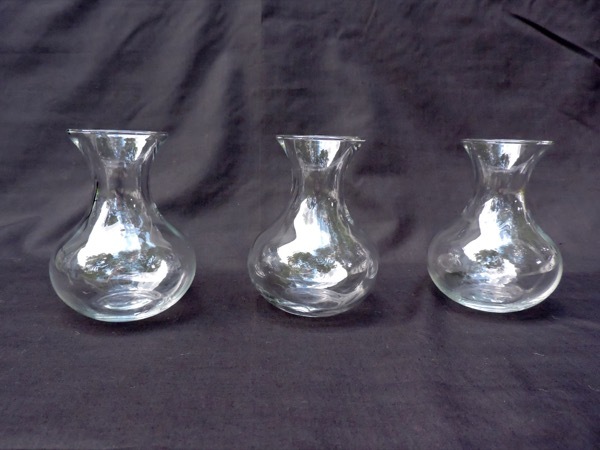 Place the three filled vases in one long line. Then take your twigs and flank them on either side, staggering them slightly. 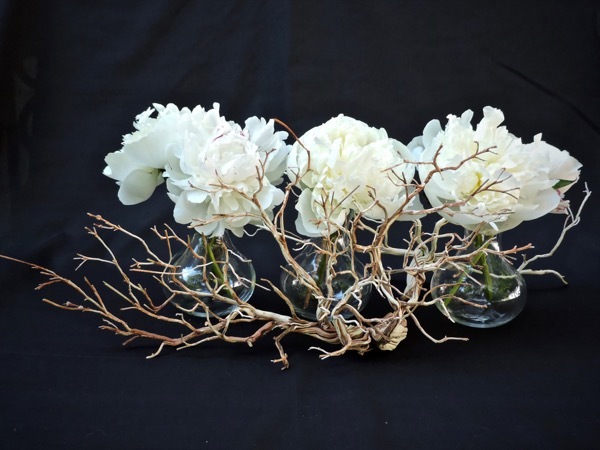 You too can create a simple arrangement with just enough intrigue that’s sure to win blue ribbon results.